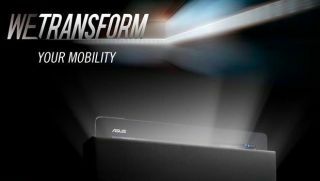 Teaser season is in full swing, with the IFA tech show getting under way in just four days, and this weekend ASUS showed part of its hand, suggesting a new Transformer Pad tablet is on the way. In a series of photos posted on its Facebook page, the company promised to 'transform your mobility' while displaying glimpses of a new 10-inch tablet, perhaps a revamp of its excellent Infinity device. "We transform your mobility! Yes, a new generation is coming, but of which product?" the company posted along with the images. Recent rumours have suggested that the company has been plotting an upgrade of its popular Android tablet line, complete with a new Nvidia Tegra 4 processor. In further posts on Sunday, the company urged its Facebook fans to "get ready for the evolution of an iconic notebook design." That could mean a new iteration of the company's Zenbook Ultrabook line, may also on the way. All will be revealed at, or before IFA, which kicks starts in Berlin later this week. What can we expect at IFA? Read on to hear our tips.